Use correct coordinate notation to describe the location of places. Work at Level 0 independently for 10 minutes. Journal: What are lines of latitude? What are lines of longitude? I do: Review station expectations/ Model how to determine and write latitude and longitude coordinates. 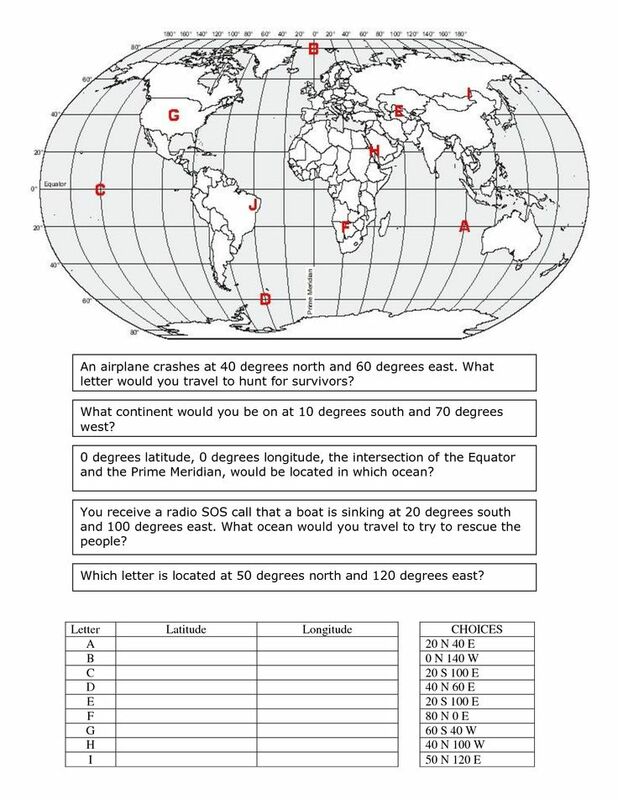 Exit Ticket: For what activities are latitude and longitude coordinates helpful? Journal: Describe two places you need a map that you cannot get on your phone. I Do - Lecture with notes on Map types. You Do - Map differentiation and reading activity. Exit Ticket: You are planning a parade a six months from today. Name two map types you could use to help you in your planning. Describe how you would use them. Homework: Study map projections, latitude and longitude, continents and ocean and map types for quiz tomorrow. Analyze a text and create questions using a close reading method. Journal: What are the two lines of latitude that are 23.5 degrees north and south of the equator? Exit Ticket: Were you surprised about the location of hate groups in the US? Where were there the most of them? Why might this be? Exit Ticket: Which items do you need to study for the test tomorrow? Students will participate in Socratic Seminar. Journal: What did you focus on as you studied for the test? Exit Ticket: Write a study schedule for yourself for World Geography. How many minutes and at what time each day?